2003 Client Testimonials - Writer's Relief, Inc. Despite my MFA in fiction writing from Columbia University, I was too intimidated to submit my work to literary magazines for many years. Writer’s Relief has changed all that. Instead of being bewildered by the overwhelming number of magazines and their different requirements and preferences, I now rely on Writer’s Relief to select the magazines that are most likely to publish my work. Out of five pieces submitted, so far two have been accepted! In addition to being shy, I’m a busy stay-at-home mom and don’t have time for the mechanics of trying to get published. Tracking acceptances and rejections, proofreading manuscripts, and preparing cover letters take precious time away from my writing. Writer’s Relief relieves me of the business angle of writing. I honestly never thought I’d get published, but my years of writing alone and storing work in a drawer are finally over-due to Writer’s Relief. I would like to thank you for the terrific service you offer. I would also like to point out how unpredictable the submission game is. I had sent 60 identical submission packets to places ranging from A to Z and have received an acceptance from the very last one, ZYZZYVA. But the acceptance has turned out to be of a tremendous value, coming from an established literary magazine deeply interested in exactly the kind of writing I do. The editor, Howard Junker, ended up showcasing my work. I can hardly believe how quickly my writing life-and thus my view of myself-has changed in these few months since you accepted me as a client. Two stories have been accepted for publication-one in the North Dakota Quarterly and the other in the New Delta Review. Today I received an acceptance from The Ledge for two poems. I have spent many years writing stories and poems which friends and family have enjoyed, but it is a true delight to connect with complete strangers. I think this is a critical aspect of becoming a professional writer-reaching an unknown audience-and your service has helped me start to accomplish this goal. Earlier this year, professional writing seemed like an impenetrable mystery. I had no connections in the industry to help me champion my work. Worse, I felt completely crippled by insecurity. I would agonize over the wording of every submission letter more than I would agonize over my own storytelling. I’d end up sending off maybe three submissions, then feel devastated when I received a rejection-even an encouraging one. I was enormously relieved to turn this part of the writing business over to you-especially when I saw how hard you and your team were working on my behalf. You and your staff have really helped me to see the “business” side of writing as a series of attainable steps. For the first time, I am eager to get the mail and see what good news might be hiding inside those little white envelopes. You are professional and courteous and treat my work accordingly. I greatly appreciate your eagle-eyed proofreading. As a newcomer to the world of publishing, I have many questions, and yet you never fail to take the time to answer me-from how to write a bio, to what I should look for in a contract, to how to format headers and footers. I also find that I have become even more productive thanks to your deadlines. The latter is an unexpected and very welcome benefit of your service. I look forward to many more shared successes. Writer’s Relief has been wonderful for me. An unorganized writer, without the courage to give up my day job, I was hopeless at sending my badly typed and edited manuscripts to agents. Everything seemed to take so long. Writer’s Relief picked me up, organized me, copy-edited my first chapters, revamped my formerly unprofessional query letter, found the right agents to query, and voilà-I found one. I could never have done this on my own and am very grateful. The staff of Writer’s Relief is professional, efficient, and caring. How could you invent a better organization? I am truly grateful for the invaluable service Writer’s Relief provides. In this fast-paced day and age, time is of the essence especially for someone like myself with a variety of artistic pursuits. Writer’s Relief frees me from the cumbersome burden of tracking publishing cycles and knowing which literary journals to target. After graduation from an MFA program, I had no knowledge of the extensive submission process or what it took to get published. Now, thanks to you and your staff, I have several publishing credits to my name. My poems have been published in Inkwell, Descant, The Distillery, Confrontation, Confluence, The South Carolina Review, 13th Moon, Pacific Review, and Phantasmagoria. I recommend this service to any writer who is serious about making a quantum leap in the literary arena. In short, Writer’s Relief is a breath of fresh air. A short thank-you note to you and Writer’s Relief-my poem, “Underneath,” has been accepted for publication by the Texas Review. While I have been published three times previous (in 10 years of writing), working through Writer’s Relief I have had an acceptance with the first batch of poems sent out! Just a quick thanks for your excellent service. Having just received two more acceptances this round (Texas Review and Eclipse) and after having six poems accepted last year, it’s clear Writer’s Relief is working extremely well for me. Your efficiency, structure, and deadlines have helped me stay organized, keep work circulating, as well as complete new work-otherwise, I’d revise forever. My thanks again. I joined Writer’s Relief late last fall. The short story I sent out in December is now in print and the one I sent out in February has been accepted for publication. Although I had been writing short fiction for about five years, I’d never submitted anything before. The prospect of identifying appropriate outlets and assembling submission materials overwhelmed me. Writer’s Relief takes care of the former and makes the latter as painless as it could be. Your structure and deadlines help me defeat procrastination. The staff at Writer’s Relief has been unfailingly courteous, responsive, helpful, and efficient. After years of trying and failing to get published on my own, I had two stories accepted from my first cycle of submissions with Writer’s Relief. I cannot recommend this service highly enough. Lynx Eye has accepted “Chronicle of the Horse.” Ronnie, seriously, you guys rock my world. I am a published research nonfiction writer and also a published poet. The writing and research for my last book took up most of the past decade and left absolutely no time for something very meaningful to me: poetry. By the time my book was published in 2002, I had been out of the world of poetry for a long time and felt like a has-been. Yet, now I was beginning another nonfiction manuscript and this left little time for the very necessary job of sending poems to many literary journals. I knew from past experience that good mail-out strategy was time intensive but also that it really means the difference between having your poems put in a magazine or in a desk drawer. There just didn’t seem to be any way that I would be able to find the time to publish my poems. Ronnie was able to help me with this problem. Writer’s Relief sent my poetry mss. Out to a large number of good publishers of literary magazines. It was a huge amount of work done on my behalf and done with great efficiency and ease as far as work that I did on my part of the mail-outs. Though I’ve only been through a few cycles thus far, I have had very good results, I believe. I have already had an acceptance for publication, and several literary journal editors have expressed more interest in my manuscripts. One well-known poetry journal editor even sent a note of encouragement and recommendations for a resubmission. For the first time in my writing career I have the time to devote to developing a written relationship with just such interested editors. I also have more time to work on new material that always seemed to be a bit out of reach for me due to time crunches and deadlines. Ronnie is amazingly well-organized thus saving me huge amounts of “office” work, and of course, she does the research on possible publishers for my poetry. But, most of all Ronnie is very, very competent, making me feel quite safe entrusting Writer’s Relief with my creative efforts while I do even more of the writing that I always wanted to do. 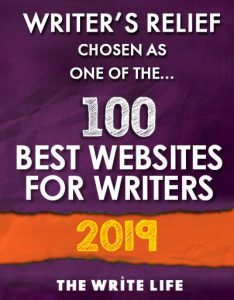 There is no way for me to adequately express the gratitude I have for you, Meg, Barbara, and everyone else at Writer’s Relief for all the time, effort, and consideration you have expended on my behalf, not to mention the results: 10 stories published in four years. That’s a strong record and speaks volumes about the commitment and service you provide at Writer’s Relief. As well, we have been through some memorable times together, both happy and sad, as an extended family, and I will always consider you my extended family and hope you will do the same. You got my writing career off the ground; you got me published for the first time, and continuously thereafter, and there is no greater gift a writer can desire or receive. For these I will be forever grateful. I have been using Writer’s Relief for over a year now, and it has changed my writing life. Not only have you helped me secure publication in several literary magazines, but the entire Writer’s Relief process has gotten me to work with more regular discipline and purpose. Thank you. The whole team knows their stuff and provides strong guidance throughout the submission process. Plus, they’re really nice people. You have been very honest about what my expectations should be as I’m submitting. Whenever I have a question, Barbara always takes the time to explain exactly why WR recommends certain practices. I have spoken with other editors and writers; they invariably echo the good advice I’ve been given. Did I mention that I’ve also gotten published several times already? Thanks for making my first year of submissions so satisfying. I am so glad I responded to your advertisement in the Poets and Writers Magazine in August of 2000. I’m equally as glad that you responded so warmly to me and my poems. Now, instead of 22 poems published in 22 years, I have had 14 published in three years under the direction of Writer’s Relief. I realize that those better statistics still aren’t trophy winners, but my self-esteem and ambition are dangerously inflated. I have had courage to submit some on my own, and I suspect that is the goal of WR. An unexpected “perk” is that I consider people in your office, if not friends, certainly more than acquaintances. I’m very happy with the help I’ve received from Ronnie and the wonderful persons who work with her. They have been supportive but honest in their discussions with me. Due to their submissions, I have published six stories that I would not have been able to otherwise. I can heartily recommend them. This is a too brief note of my appreciation for the help you have provided in my efforts to publish my writing. Without your assistance, my efforts were such an uncertain, all time-consuming task. Your knowledge of the market, of the range of quality, and of the unbelievable number and variety of magazines has made the difference, as my recent acceptances and publications certainly indicate. And of course, with the help you provide, I have more time and attention for my writing, which is the point of it all. There were two questions I asked myself when beginning my partnership with Writer’s Relief, Inc. 1) Is this an honest and legitimate business? 2) Do they know the literary magazine market? The answers are: Yes and yes. During my eight months as a client, I have been impressed with their business “how-tos,” providing me with a professional cover letter, clear checklists to follow in preparing my submissions, accurate business records, and quick responses to my questions and concerns. With four submission periods behind me, three works are waiting for publisher responses and one work has been accepted for publication! In preparation for the latest submission period, they told us that during this time of year, publishers are looking for shorter stories. This type of information shows their strong knowledge of the literary market. I am pleased with my relationship with Writer’s Relief, Inc. and will continue using their services. I wanted to write a note and let you know how much Writer’s Relief has helped me to stay organized and ultimately publish. The schedule has kept me writing, and your cover letters and targeting mean my stories are in constant circulation. I certainly would not have time to do this on my own. Thank you so much for all your help, which I will continue to count on. Thanks for all your help in my recent success in publishing my poetry. Your process provides, among other things, the organization and research of markets that made those publications possible. I am very pleased with the journals that you found for my work: Yalobusha Review, Confluence, and The Distillery. I would not have found these journals on my own. Thank you for all the work you and your staff have done helping me market my poetry. As I was new to trying to publish my work, I really didn’t know where to start. But you did. Since we started working together last summer, six of my poems have been placed, and I am getting a sense of where my work resonates. Mostly, though, I’ve benefited from our telephone calls and e-mails and your quick advice on what to do when a poem is accepted-explaining the various rights I can grant, and more importantly, the rights I should protect. You’ve helped me understand what is in my best interests as a writer. You’ve taught me the rules of the game and have been a steady guide. I certainly am gratified that within a few months of submitting my work through Writer’s Relief, I have received an acceptance from The Texas Review. Although I have previously gotten acceptances on my own (at The Cream City Review, Kenyon Review, and elsewhere), the process is always laborious. Having your staff target appropriate markets for me truly is a relief. I am very pleased with your services. After years of keeping journals and writing snippets of stories, I am finally starting to put the words together. But how to place them??? I soon realized that getting the stories published was more difficult than I had imagined. I was so fortunate to have seen your ad in a writer’s magazine. Writer’s Relief has shown me how to put stories in the proper format for submission and targeted magazines that might be interested in my work. My first short story will appear this September in the Nassau Review! I am thrilled with the acceptance and want to thank you for all your assistance. I look forward to more acceptances with guidance from Writer’s Relief. Writer’s Relief has been like Claritin for my allergy to the drudgery of finding publishers and submitting my writing. It works! I’m cured! No more sniffling and sneezing during late-night monologues about the futility of the writer’s life and the blindness of publishers regarding the wonders of my work. I’ve finally got a WMO (Writer’s Maintenance Organization) that makes sure I get the help I need. The patience, diligence, and care that you provide me are evident in every e-mail and every phone call. It lets me do what I like to do-WRITE! It’s the details that bog down my creative spirit, and yet without them I was limping along with few submissions, unhappy results, and the constant question as to why bother in the first place if no one is going to read what you’re writing. I wondered at first what I was getting into, but when I saw the quality of the work, the ability to do what was promised when it was promised, and of course the resulting publication, I was thrilled, relieved, and inspired all at once. I could never produce the number or quality of submission opportunities that Writer’s Relief finds for me. It’s a matter of matching up what I produce with the right person to publish it-a task that has both confounded and frustrated me for years. Even rejection comes into perspective when you’re submitting to 30 publications at a time-it’s just part of the business. In brief, if anyone is wondering if Writer’s Relief is worth it, don’t waste your time wondering, get on line and get them on your side. It’s hard enough just to get the writing done. At least with Writer’s Relief I feel like I’m not alone and that there is a trusted group of professionals who will help me find a way to get my work out where others can enjoy it. It’s a very good feeling. Having just received my third acceptance since I started to use your services, I would like to tell you how satisfied I have been with Writer’s Relief. You and your staff, especially Barbara, have provided highly professional advice and administrative services with refreshing personal touch. As a newcomer to the world of “trying to get published,” I imagine I have asked more than my share of questions. I could always count on receiving a prompt, courteous, and invariably correct answer to guide my next steps. I was very pleased when you accepted me as a new client in early 2002, since that gave me a sense of confidence that my works might eventually be shared in print with others. You were very candid about the chances a new writer has for being accepted. It is hard to describe in words the sense of pride and accomplishment that I felt when one of my works was selected in only my second round of submittals. After several more rounds and many more returns (which, as you kept reminding all of your clients, were par for the course), I had my second and third acceptances. If anything, each of these was more thrilling than the first! This start has given me the desire to keep submitting. It has also inspired me to keep writing. 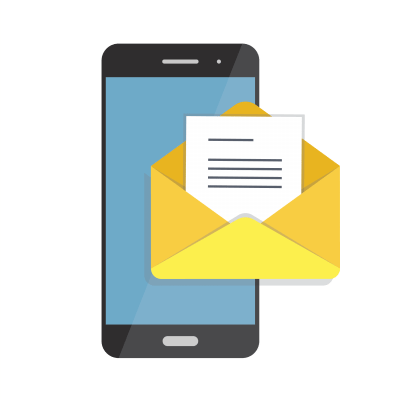 As your promotional literature says, you do all the “market research” and take care of recurring submittal paperwork so that we, your clients, can concentrate on writing. Since starting with Writer’s Relief, I have written 19 poems (two published), which has enabled me to keep fresh work going out to the journals. I would rather spend my spare time being creative than trying to figure out where and when to send my work and tabulating the results. You do a great job at that! I am certainly glad that I found out about Writer’s Relief, since it has enabled me to accomplish something I have always wanted to do (publish my poetry) with the minimum of work and worry. Your charges are certainly reasonable for the excellent service you provide. I would certainly recommend Writer’s Relief to anyone aspiring to share their writing with others. Without your help, my poems would remain scratched onto wrinkled scraps underneath piles of laundry, unsorted photographs, and mounting to-do lists. Who has time (or patience) to keep track of submissions? You do. Thank goodness I found you. By the way, my bookshelves look much better now that I’ve tossed Poet’s Market. In recent weeks my poems have been accepted by The Texas Review, The Evansville Review, and Poet Lore. It’s more fun at cocktail parties now that I have some recent acceptances. People take me more seriously, and excuse my husband for marrying a bookworm with excessive student loans. When you’re a published poet, you upgrade from good-for-nothing to tolerably eccentric. So, I thank you for an improvement in my social relations. More importantly, I can now use my precious time writing, not trying to comprehend my address label software. I have been known to write for hours, forgetting to eat, sleep, or show up for appointments. But the instant I have to tackle paperwork, I become famished, exhausted, or obsessively industrious about something else. Besides, I hate paper cuts and have fewer now that you are a constant relief in my life. I have also found that it is infinitely easier to receive rejections slips when your disappointment is not compounded by the regret you feel having squandered all that time on getting your work out there. In fact, I look forward to any SASE, fat or thin, returned to my mailbox: every envelope represents another step toward publication and makes me feel productive. Perhaps I’ll write a poem about this. Thank you for your outstanding work on my behalf. Your proofreading is eagle-eyed, your record-keeping meticulous, and your market research right on track. Your fees are remarkably reasonable. And, I must admit that your deadlines are a strange delight, being more compelling than those I set for myself. Thanks for spurring me on. Thank you for the wonderful service you provide for busy writers. I am so delighted to be relieved of the burden of researching, editing, writing cover letters, printing, and mailing my short stories out over and over and over again. Not to mention tracking all the replies! I have found your service to be helpful in all respects-timely, consistent, and most of all, successful. In a year, I have had two acceptances and countless positive replies to my short stories. I am validated as a writer as a result of working with your organization. Thank you so much for this amazing service. Thanks again to Writer’s Relief for giving me the top quality editing and marketing and encouragement that have made all my acceptances possible. I know I would not have had the success I have had to date without your resources behind me! As I prepare my February submission, I’m still at a loss about how I need to use the Header/Footer function to properly place page numbers. Please e-mail a quickie lesson if you can. I have been working with Writer’s Relief for about nine months now, have had two poems accepted, and have had two requests for additional work. Prior to working with Writer’s Relief, my submissions were sporadic and unfocused. As an English professor at a community college, my workload is such that managing paper grading for 100 students a semester, submissions, and writing was more than I could handle. Writer’s Relief has allowed me freedom from guilt about prioritizing writing. In addition, the staff is encouraging, knowledgeable, and delightful to work with! I highly recommend this service. Writing and publishing are two very different processes requiring two very different sets of skills. If you can write, Writer’s Relief can help you publish. I started working with Writer’s Relief in early 2002. Though I had been writing for many years, I had never had anything published. You looked at my work and determined that it might find publishing appeal. Shortly thereafter my poems were being sent out to appropriate magazines across the country. Within a few months, I had acceptances by Rattle, RE:AL, The Louisville Review, and The Chrysalis Reader. I was even invited to a writer’s dinner and reading for one of the publications-the highlight of my short publishing career! Make no mistake about it: publishing is a long, difficult process requiring a very thick skin. You will spend some time on envelopes and in post offices, and you will get many rejections no matter the quality of your writing. But if you are accepted as a client by Writer’s Relief, they can maximize and optimize your opportunities for publishing by providing a light edit and finding the publications that would most likely be interested in your work. They will carry a great deal of the publishing burden leaving you more time and energy to focus on what you do best: writing good stuff. If you feel you are a good writer with a desire to publish, I recommend them highly! Midway in the year 2002, I became involved with Writer’s Relief and in June sent out two pieces of fiction. By October, one piece was accepted for publication in a literary journal. I am a journalist with experience in the greater Boston area, Chicago, and currently in Palm Springs, California. My work has been published in The Critic– A Catholic Literary Journal, American Biographer’s Dictionary, Palm Springs Life Magazine, The Desert Magazine, Chicago Books in Review, and The Chicago Tribune. Many years ago I embarked on a fiction project, wrote it, and packed it away. Now I’m reviving it, and through Writer’s Relief, worked up courage to circulate it to publishers chosen by your organization. I am delighted that a piece of my work was accepted in a five-month period. This has highly motivated me, and the schedule for submitting work for publication has prompted discipline and diligence. I look forward to a continued relationship. I suspect that I’m like a lot of writers who feel confident about writing but overwhelmed by the submission process. Writer’s Relief has helped me take a more professional approach to this sometimes arduous but very necessary part of getting published. The staff is very helpful-keeping me aware of deadlines and catching my typos. I have a background in journalism and essay writing, with work previously published in the Los Angeles Times, Parents, and Family Circle. Recently I have been concentrating mostly on short fiction, so I was pleased to have a story accepted by Lullwater Review. Another story will be published in Left Curve. It’s empowering to mail off a big stack of manuscripts and to know that your work is out there, being read. I thank Writer’s Relief for giving my writing career a boost. I highly recommend their service. Writer’s Relief is so aptly named! Prior to signing up, I had spent several years carefully ordering and scrutinizing journals, then submitting just the right poems-with relatively little r return for my effort. In just 9 months with Writer’s Relief, my acceptances have doubled. All in all, I have felt the release of a huge burden and the boost of affirmation for what had been my flagging self-esteem. I’m a former community college English teacher and have an MFA in Writing from Vermont College, and I’m grateful to have more time to practice what I’ve been taught and learned. I’ve found Writer’s Relief to be a carefully conceived program that is professional, efficient, and ethical. Its responsive employees seem dedicated and hard-working, and I would love to meet them someday. A year ago at this time I was a published author of 3 non-fiction books (A Helping Handbook – When A Loved One Is Critically Ill, Growing Up Feeling Good, What Is A Girl? What Is A Boy?) struggling to get my fiction in print. I had a desk crowded with short stories and a scattershot approach for submitting them. I couldn’t figure out how to keep track of what went out and when and to whom. I felt crushed every time I received a rejection letter. I made an agreement with myself: I would give Writer’s Relief one year and if at the end of that time there were still no nibbles, I would give up. You must be chuckling to yourself. Here it is one year later and I’ve had FIVE stories accepted for publication! I am grateful not only for this success and for the efficiency and order that Writer’s Relief has brought into my life, I am also grateful for the support I feel every time I call and Barbara answers in her cheerful voice. Thank you for all that Writer’s Relief has given me. You may use this letter to help get the word out. It may increase the competition; but I take rejection letters in stride these days. Thank you for the new window through which I view the writing world! Before Writer’s Relief I was reluctant to send stories out because when I did get my nerve up, each rejection was a big setback. Writer’s Relief has taught me that rejections are part of “being out there.” I now view the rejection notices as part of the business of writing. Having you organize publishing places to which my story goes is so encouraging. What writer’s relief! There are so many small presses, and your expertise in choosing the best ones for my particular story is invaluable. And then, of course, all your organizational skills to put the whole package together are a wonderful support. In addition, the discipline of having to send Writer’s Relief a story every two months, a story I have to stop changing and let go as it is, has been very useful to me. It was a thrill to have Limestone from the University of Kentucky accept my story in November, which further proved to me what a fine service you offer. Barbara P. from day one has been especially helpful and kind. Even though I’ve had 12 children’s books, a cookbook, and many nonfiction articles published, the short story market has always been daunting to me. I am so happy to have discovered you. I’ve been using the services of Writer’s Relief for nearly a year and have gotten two poems published in RE:AL and one short story published in The Distillery–my first ever! Getting my work accepted by people who aren’t in a workshop or writing group with me has changed the way I view my work and myself. I feel like a “real” writer now. I doubt I would have been so committed to getting published without the expertise of the folks at Writer’s Relief behind me. I’ve learned a great deal from you about how one approaches editors of literary journals and how the publishing game is played. I’ve even learned (mostly) to think of rejections as indicia of the living writer’s life. If you are a writer and stumped as to where to send out your writing, Writer’s Relief, Inc. has the means to help you go from step A to step B. Within the last year, four poetry journals have accepted a total of six of my poems. The fact that I have to gather six new poems every two months is an excellent impetus for me to keep the momentum going. I am especially appreciative to the contact person at Writer’s Relief with whom I work the most for her accessibility and willingness to be of help.